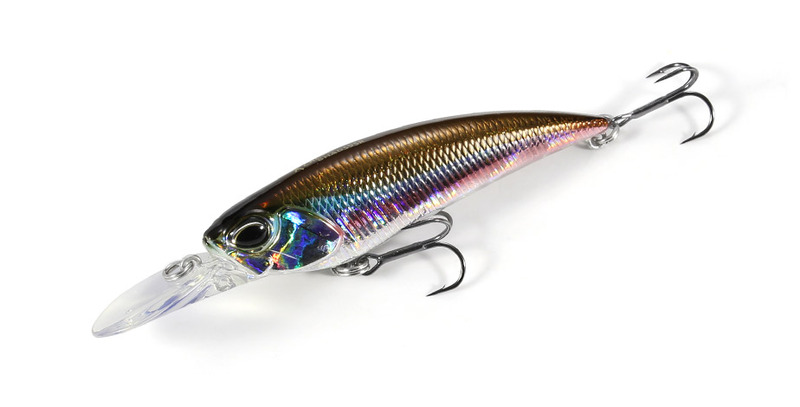 This is the true versatile shad to capture the shallow 1m range. Its modulate dive/pause and the ever changing darting and panic action produced by the anglers rod work will be like a fleeing weak baitfish. 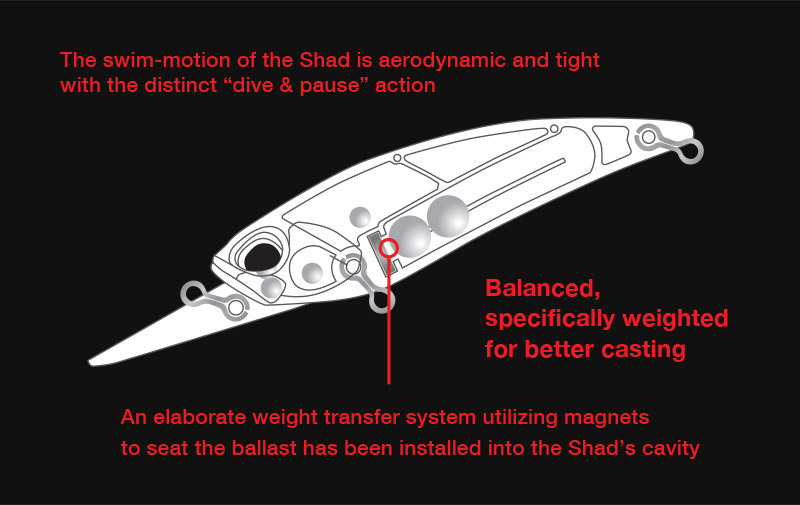 The magnet attacked moving weight system produces outstanding casting distance. This lure will not only be great for land based anglers but also boat anglers throughout the year. With a great command and diverse action, anglers will be able to capture the shallow area. It is not only productive during high pressure and low temperature seasons, but also great throughout the year appealing and inducing bites from the bass with its diverse action patterns.